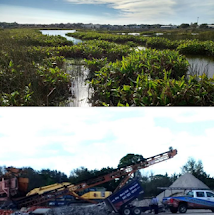 Sarasotans took time from their Valentine's Day festivities Wednesday to hear from residents who have proposals-in-progress for the public lands at the Celery Fields. 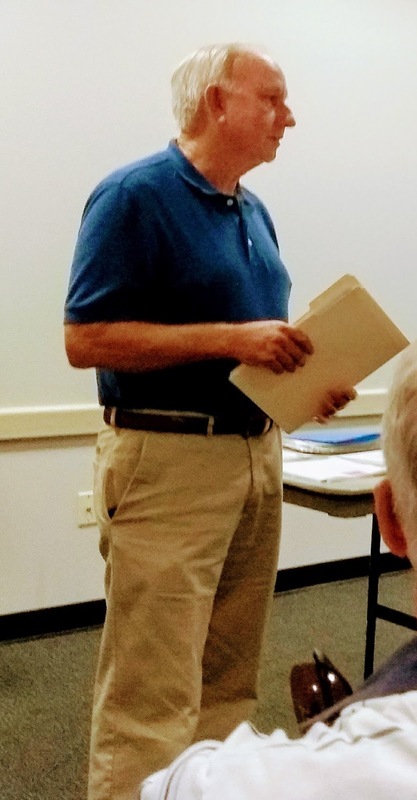 The meeting was held by the Fresh Start Initiative, a community effort to find value-adding uses for three parcels owned by the County near the Celery Fields. The ideas are among more than 25 proposed uses that the Initiative has received so far. The process is open to anyone interested -- proposals should be sent to FreshStartSarasota@gmail.com by March 1. Chris Bales shared her concept of an athletic facility that would feature Pickleball, and possibly Tennis and Soccer on Parcel #2. The facility would offer parking, restrooms, and could have room for a cafe or other eatery, she said. 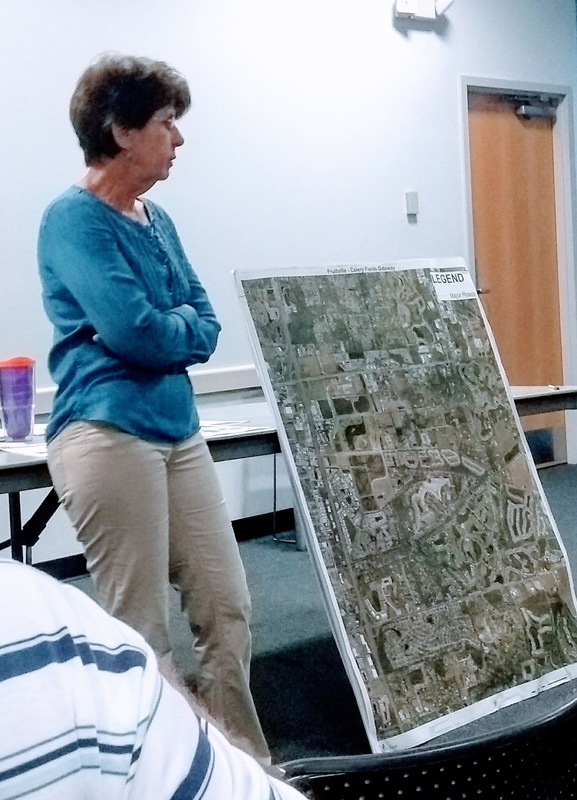 And Susan Chapman described an "Adaptation" facility consisting of greenhouses and a library for Marie Selby Botanical Gardens' rare horticultural books -- a protected storage facility for valued parts of its collection well away from the low-lying downtown floodzone. 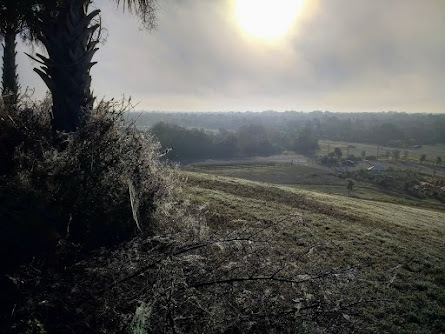 And on March 12, the president of the National Audubon President David Yarnold will address environmental concerns, among them the Celery Fields. Before the brief presentations at the Fresh Start meeting, those present discussed the future of the three parcels at the Celery Fields. Would industrial activity at Apex and Palmer burden these two lane roads? What is the status of the Fruitville Initiative? What sorts of proposals are coming in? 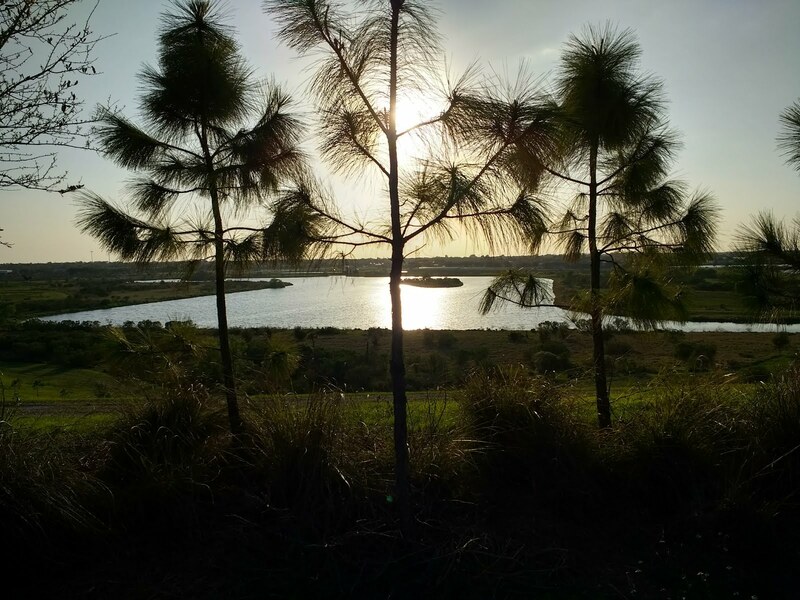 Parcel #1 (SE, 13 acres) is nearest the Celery Fields Bird Sanctuary and wetlands. The County recently took that parcel off the surplus lands list and has indicated an openness to compatible uses. 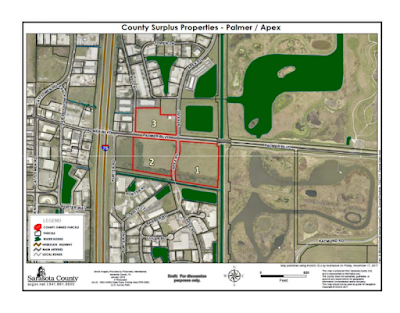 Parcel #2 (SW, 10.6 acres) is temporarily off the surplus lands list. The county has given Fresh Start six months - to the end of May - to come up with workable proposals that could enhance the community, and increase value. A line of trees separates this parcel from the adjacent 6 acres that runs along Porter to Apex. This six-acre parcel is owned by James Gabbert who was granted a Special Exception to develop it as a waste transfer station in Oct. 2015. (Pertinent video begins at the 1 hour 53 minute mark). Parcel #3 (NW, 9 acres with Fire Station) has been selected by the County for surplus land sale to close a budget gap. The county has put out a bid packet for a consultant to rezone the parcel for sale. If you have an idea for these public parcels that you believe is feasible and would enhance the area, there's still time. Send your proposal to FreshStartSarasota@gmail.com by March 1. For more about the parcels, their dimensions, history and land use, see this post and the links it contains.